development of the transmission network, including the connections to other power systems. and innovative services which should be available on the future market. electricity sector, with broad overview of all relations and tasks. framework of packages WP5-WP8) in terms of scalability and replicability. WP5.1 (Data exchange conceptual model) – in the scope of participation in the preparation of the report “Recommended Data Exchange conceptual mode in Europe”. WP5.5 (Proposal for data exchange standards and protocols) – in the scope of elaborating the results of the survey and development of recommendations. 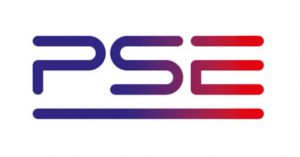 WP9.3 (Cross-border and cross-sectoral data exchange) – PSE will develop the concept of one of the demonstrations and implement the cross-border data exchange on this basis. flexibility basing on Demand Side Response. It is good background to develop roadmap and long term strategy for flexibility in Europe.